The head is the entrance to Hemming Park's Kids' Zone. First there was a giant shark in Hemming Park. Now, a giant human head is taking up residence in the downtown plaza. The head with a big, gaping mouth, relocated Thursday from the Museum of Science & History in San Marco. Pink’s Towing owner Vernon Johnson was standing beside his idling truck after dropping off his cargo: an 18-and-a-half foot-long head with a 7-foot-tall open mouth for people to walk through. “That is the weirdest thing I’ve ever towed. That is probably the most unique thing I’ve had to tow. I like it,” he said. He says he turned down the job two or three times before accepting it because he didn’t feel he was especially qualified to deal with the strange load. But in the end he was up to the challenge. Until today, the mouth swallowed visitors into MOSH’s body exhibit. 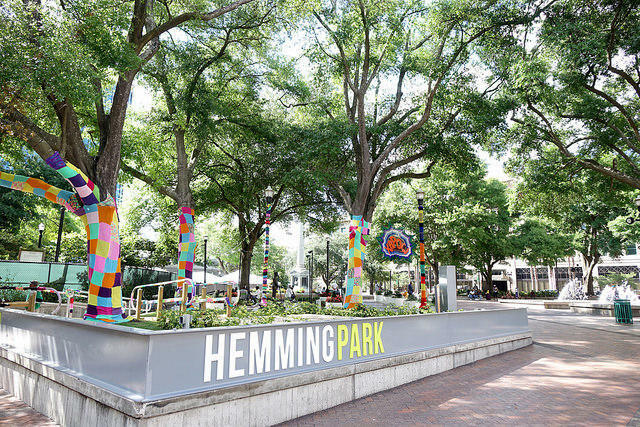 Hemming Park events coordinator Jim Webb says he asked for it to live out its retirement as the entrance to the park’s Kids' Zone. “I would like to say it’s here until the Florida elements deem it gone,” he says, adding that it’s a good “place making” feature for the northwest corner of the park, where visitors might venture out to restaurants like Sweet Pete’s Candy Apple Café. Webb says he’d like to add a sign advertising the head’s origin at the museum and directing visitors to hop on the nearby Skyway and see MOSH for themselves. 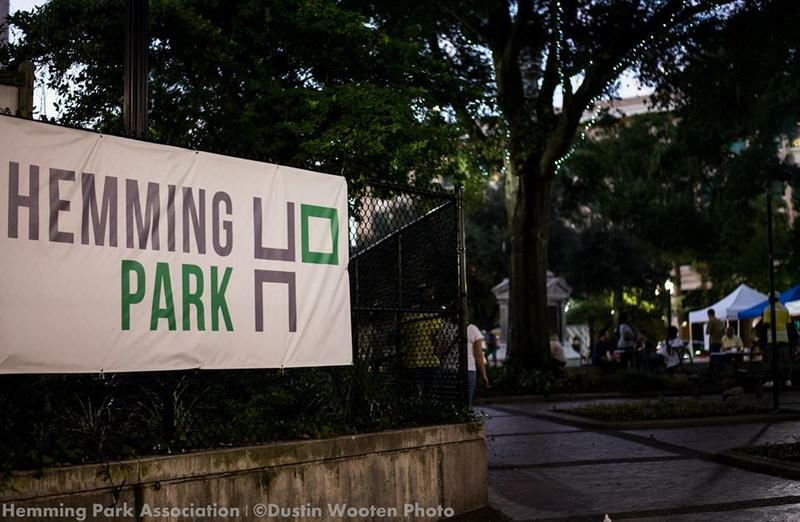 A law firm in downtown Jacksonville is taking it upon itself to bring recycling to Hemming Park. Attorneys at Johnson and Lufrano hope to inspire other local businesses to expand recycling throughout downtown.